Is Your Power Really that “Green”? If you have chosen a certain power retailer because it advertises itself as being a provider of clean, green energy, then you may have to think again! Although certain providers promote their commitment to being environmentally-friendly, they can not guarantee you will be using this power exclusively. Renewable energy sources like wind and hydro are carbon-free producers, yet geothermal (another renewable type) still emits carbon. Plus, New Zealand’s national power supply is a mixture of different energy suppliers. This means that there really is no control over what type of energy ends up being delivered to your household. Sometimes, there simply is not enough renewable power sources to generate the amount of power needed by Kiwis. It’s during times like these that thermal electricity is used as a source, regardless of which electricity provider you use. Where your household’s power comes from depends on what’s being generated at the time you use it. Since there are both renewable and non-renewable sources constantly supplying the national grid, you could end up with a mixture of sources when it’s delivered to your home. The majority of electricity does come from hydro. However, when a year is exceptionally dry or if certain hydro plants are not in use, non-renewable sources would then supply the bulk of energy to consumers. If this is all news to you, then know that you’re not alone! In a recent survey conducted by Consumer NZ, 33 percent of consumers consider a company’s commitment to green energy when they choose a retailer. But depending on how interested and engaged a consumer is with their power account, some consumers may be getting the wrong impression about where their power supply is coming from. New Zealand’s renewable sources deliver around 85% of our country’s electricity. So even though it’s impossible to ensure you’re only using green energy at all times, the majority of the time you end up doing so. Even though you may not have control over only receiving green energy, you do have control over which energy provider you use! To ensure you’re getting the best energy rate available, use Switchme’s free, online comparison calculator. Contact us today for more details! Energy retailer Mercury is taking tips from Netflix and Spotify by offering a subscription service to electric vehicles. Through a partnership with rental company Snap Rentals, Mercury’s newly launched vehicle subscription service allows customers to rent an electric vehicle (EV) for a certain period of time. The cost for electricity is the only additional fee on top of the subscription fee. When the time commitment is up, customers simply return the vehicle. The flexibility associated with the membership is already making this subscription service popular to Kiwis. Here’s what else you should know about Mercury’s new EV subscription! This newly launched project has already proved successful! With the service’s reasonable prices and the ability to swap out a vehicle for another model if desired, it’s no surprise that Kiwis are excited to use this service. In fact, most of the EVs available are booked by customers within only a few hours. This new offering by Mercury will appeal to a range of Kiwis! Interested in purchasing an electric vehicle, but worried about having buyer’s remorse? This subscription service enables you to experience what owning an EV will be like, without the financial commitment of purchasing one! Are you someone who doesn’t require a vehicle on a regular basis, but when you do, you want the vehicle to be environmentally friendly? The subscription service allows you to have an environmentally-friendly vehicle on an as-needed basis. Know that you’ll need a vehicle for a period of a few months but don’t want to pay for an expensive rental car? With this service, a second-hand first-generation Nissan Leaf costs $469 – which is much less than a mid-range vehicle from a traditional rental car company. Plus, even cheaper rates are available for customers who agree to a minimum six-month term on the EV subscription. The monthly fee included with the subscription includes comprehensive insurance, maintenance, unlimited kilometres and roadside assistance. Another advantage is the concierge service that accompanies the subscription service. Delivery and pick-up for your rented EV is conveniently done from your location. Besides the second-hand first-generation Nissan Leaf, other vehicles available include the Tesla Model S and the Gen 4 Leaf. Future plans by Mercury include stocking the Volkswagen e-golf and the Renault Zoe. The service, currently only available in Auckland, will be available in other cities soon. Besides saving on your vehicle costs with this subscription service, how about saving on your household’s energy costs? Contact Switchme today to learn more about our energy savings services! With a $46 million investment in Flick Electric, Z Energy has made its entrance into the retail electricity market. As New Zealand’s largest petrol company, Z Energy will have a 70.1 per cent stake in Flick Electric, a four-year-old privately-held power retailer. Z Energy executives say its recent purchase will help its company’s long-term sustainability and growth. The investment will aid Flick with its future growth plans, too. Research completed by Flick over the past four years showed that there was a need for a new engagement model in energy retail. Z’s investment will play a large part in helping Flick with future growth. The investment will benefit Z Energy, too. Besides maximising the innovation potential of the energy sector, Z Energy executives will be focused on the contribution it can make to a lower carbon transport future. The investment will also help Z extend into one of their three preferred market spaces – future fuels, mobility and the last mile. Two payment instalments will be made before Z-Energy owns almost three-quarters of Flick Electric’s stake. Initially, twenty-two per cent of Flick in new issued capital will be paid by Z Energy at the cost of $15.6 million. An additional 48.1 per cent of existing shares will be purchased for $30.4 million. This will result in Z Energy holding 70.1 per cent of the total shares. Eastland Group, Evander Management and Angel HQ are other investors with Flick. Flick’s revenue, which totalled $43.4 million in the year ending March 31, is expected to be earnings positive for Z Energy within four years. Flick’s start-up mentality along with its use of technology was an investment attraction for Z Energy. Through the use of smart metering technology and proprietary software, Flick is able to offer customers electricity based on half-hourly wholesale rates, plus a margin. Couple Flick’s assets with Z Energy’s innovation and marketing experience, operational scale and resources, and a successful future is predicted for both. Wondering if you’re currently getting the best rate on your household’s or business’ energy costs? Check out Switchme’s free, online energy comparison calculator to find out today! Contact us today for more details. Can You Read Your Power Bill? When temperatures started to plummet, what do you reach for first? Most likely, it’s a blanket or extra sweater. If so, you’re not alone! Instead of cranking the heat during New Zealand’s winter months, almost half of Kiwis add extra clothing layers for warmth. With our power bills already being so high, most Kiwis try to keep thermostat changes as the last resort. But what if there were other ways to keep your power bill costs low? Recent research from Canstar Blue also found that three in ten Kiwis do not understand their power bills. 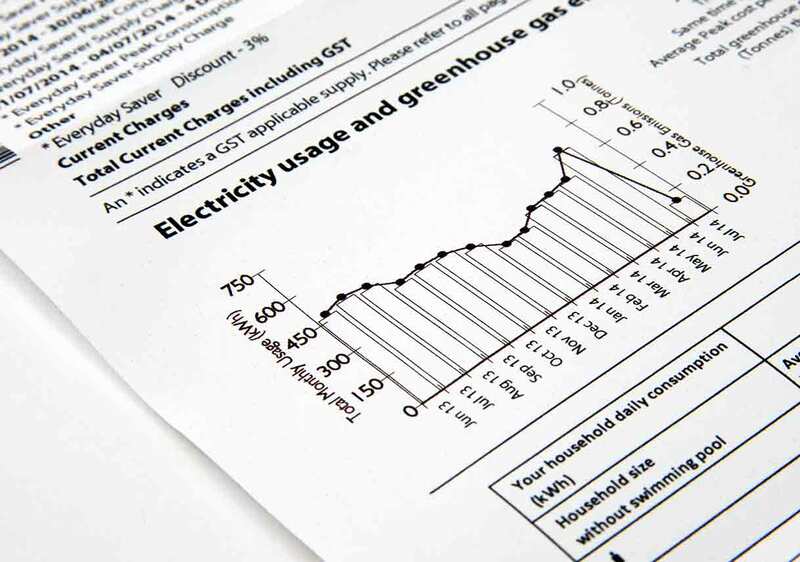 That means that 30% of Kiwis may be paying more money than necessary for their household’s energy costs. How do you know if you’re getting a good deal or not if you don’t understand what you’re paying for in the first place? The short answer: you don’t. Besides reflecting your household’s power usage, your power bill includes when you use your power, too. The rates included on the bill include costs from power generation to delivery to your door. The first part of your bill, the daily fixed charge, is the amount that covers the generation and transportation costs of power to your home. There will also be variable charges or costs that change depending on your usage. These are made up of Kilowatt per hour (or kWh). Taxes will also be included on the total amount of your power bill. After understanding what you’re currently paying for, it’s time to see if there are ways to save on your household’s energy costs! For disciplined Kiwis that use off-peak times for the majority of their energy usage, spot price contracts may be the way to go. This type of billing arrangement has you pay less than the retail market rate for your power. However, if you’re on a spot price contract and you use your appliances during peak time, you could end up paying much more. For smaller households, there are cost-savings plans that involve a meter supplying electricity to appliances for a specific time each day. A great way to save on washing machine, hot water cylinder and heat pump operating costs! Many energy providers offer discounts to efficient customers. Inquire about whether you are eligible for a prompt payment, direct debit, dual fuel or email correspondence discount. With over 40 energy companies competing for your business, it pays to spend some time researching whether you can get a cheaper rate elsewhere! Easily utilize Switchme’s free, online comparison calculator to immediately see if you’re getting the best rate on your energy costs. Contact us today for more information. Giving you power over your power. Flick's pricing is totally different to other power companies. Instead of charging you a fixed rate, they pass through all the wholesale costs of getting electricity to your place without any mark-up. Which saves their customers an average $350 annually! "Our goal is lofty - to help bring an end to energy poverty in Aotearoa. Too many Kiwis ( <http://www.otago.ac.nz/centre-sustainability/otago055642.pdf> 20% according to MBIE) are subject to energy choices that impact on their wellbeing. Like choosing between food on the table and adequately heating their home. And that plain ain't right. But there's a way to reduce power bills without cutting back on the power that keeps Kiwi homes safe and comfortable. Six Wellingtonians launched a tech-based power company in 2014 to disrupt the status quo, by offering a fair and transparent way to purchase power through the wholesale electricity market. From those humble beginnings, the Flick family has grown in size, but our core values remain the same. We're built on the bones of fairness, honesty and transparency. And that's something we're flickin' proud of." As the wholesale market pricing can change every half hour, you must already have a smart meter to be a customer with Flick so they can determine when the power is used to match with the wholesale rate at that time. The pricing we have loaded is based on the average wholesale rate from the last 12 months. This means there will be periods where the rates are higher, but also when they are lower. By using the App you can determine what the rates is at any given time, and you can choose when the best time is for you to use your power. You can take power over your power. clubenergynz is now on Switchme! Here is another reason to check out Switchme, New Zealand’s non-government funded energy switching site. clubenergynz has now been launched on the site. energyclubnz can currently supply in, Auckland, Christchurch, Wellington, and Hamilton. Mercury is Now Available on Switchme! If you’ve been waiting for even more reasons to check out Switchme, New Zealand’s non-government funded energy switching site, here’s one more: Mercury has now been launched on the site. The company provides nationwide energy supply, and offers both electricity and dual-fuel options. With 13 power stations in its operation (all within Auckland, Waikato and the Bay of Plenty), the company has a total of 1,638MW of generating capacity. Not only is Mercury one of New Zealand’s biggest electricity retailers, but it is a company that is committed to supporting the community that supports them. Through many sponsorships and partnerships – such as with Rowing New Zealand and Starship – Mercury plays a vital role in supporting the wellbeing of New Zealanders. With almost 400,000 users, there are clearly reasons why customers are choosing Mercury as their power provider. The reasons are plentiful! Mercury is dedicated to rewarding customers that choose them for their electricity, gas or solar for their home, business or farm. Earn AirpointsTM: By being rewarded with Airpoints Dollars when you pay your Mercury bill, you’ll now be that much closer to taking that dream trip! Wonderful E.Bikes: Join the thousands of other Kiwis who see the benefits of using e.bikes! Save up to $500 on an e.bike as a Mercury customer. Great Self-Service Tools: Update your personal details, review and pay your bills, check your energy usage and more 24 hours a day using the “My Account” feature. Service with a Smile: An award-winning contact centre is happy to help you with any question or concern you may have. Be Part of the Magic: As a 5-star sponsor of the Starship Foundations since 2001, Mercury and its customers have donated more than ten million dollars to the foundation’s cause! Start Saving on Your Energy Bill Right Away with Switchme! Interested in seeing what kind of energy deal Mercury can offer you? Check out Switchme’s free, online comparison calculator to see what type of energy rate Mercury Energy can offer you! In only three easy steps, you can quickly and easily find out how your current energy rate stacks up against other power providers. Check out Switchme today to start saving on energy costs! Not happy with the electricity or gas services being provided to your home or business and wondering what to do next? Follow the tips below to learn how to make a complaint about your energy provider. The first step in the complaint process is to contact the company directly that is providing you with the services. Check your bill for a free phone number or e-mail address to direct your complaint to. Writing “complaint” in the email subject line or stating it right away when calling ensures you are directed to the right resource. Contacting the company first will hopefully result in a quick solution and prevent the need of going any further with the complaint. In general, the provider has 20 working days to resolve the complaint with you. If your complaint is still not resolved, Utilities Dispute can look into it for you. They will first need to ensure that your complaint is about something they can look into and is at proper stage for their involvement. If Utilities Dispute is unable to look into your complaint, they will refer you to the agency that can. By working closely with you and your provider, Utilities Dispute will hopefully find an outcome that suits both parties. Usually, an in-person or telephone meeting is arranged between you and the provider (facilitated by a Utilities Dispute conciliator), or information is passed between the two parties by Utilities Dispute. If technical or legal information is needed, Utilities Dispute can get expert advice. If the complaint is not resolved, the Commissioner can be referred to for a proposed recommendation. This recommendation is then given to you and your provider along with the opportunity to comment. If both parties accept the proposed recommendation, it becomes binding; if you or your provider does not accept the proposed recommendation, comments can be submitted. If you do not accept the Commissioner’s final recommendation, Utilities Dispute will close the file. In this case, you may have the option to take the complaint to another forum such as Disputes Tribunal or district court. If you accept, but the provider does not, a determination will be made by the Commissioner. If this is the case, the provider must comply with the Commissioner’s recommendation. Switchme Can Help You Switch Energy Companies! 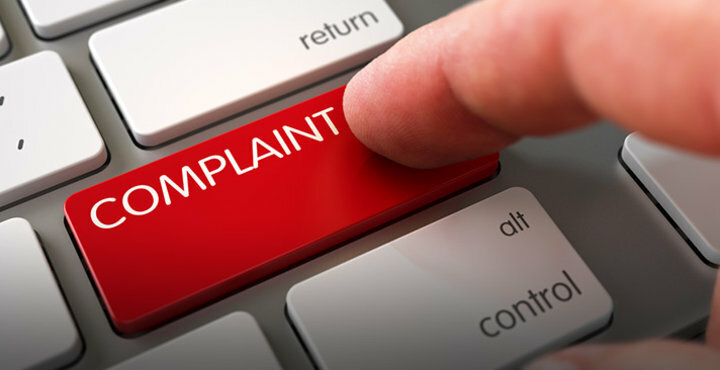 Even after completing a complaint, are you still unhappy with your energy provider? If so, Switchme can help! Use our free, online power comparison calculator or phone line support to easily compare and switch energy providers. Let us help you find the best energy deal! Contact us today for more information. What’s in Your Power Bill? Even though your power bill includes a ton of information, understanding it can be a whole other matter! Not only does your bill include how much power you have used, but it also includes how much you need to pay and more importantly, explains where that fee goes. Understanding your bill will give you a better idea of what your hard-earned money is going towards each time you apply a payment! Most power bills will include two different costs: fixed and variable. A fixed rate is charged on each bill and does not depend on how much power is used. On the other hand, variable charges encompass the amount of power you do use. This charge is based on the kilowatt hours consumed and is charged at the rate you've set up with your retailer. Also included on your bill is an "Electrical Authority Levy" charge, which is normally based on the amount of power utilized. This charge covers the cost of the Electric Authority, which regulates the power industry. Just under 1% covers market governance and market services. The market governance fee provides energy efficient programs, as well as cost coverage for running organisations that regulate the electricity industry. Market services money goes towards covering the operating costs of the organisations that manage the day-to-day management of the power market. Try Switchme's Free Comparison Calculator! Now that you understand more about your power bill, are you wondering how you can save money on each bill? If so, Switchme can help! We at Switchme work hard to let you know if there is a more economical solution available for providing your power! Contact us today to learn more details and to utilize our free comparison calculator to compare power companies. Mighty River Power says its costs rose $7 million in the second half of 2015 as it battled to keep customers amid "intense" competition. The Auckland-based power company, which is 51 per cent owned by the Government, reported earnings before income tax, depreciation, amortisation, change in fair value of financial instruments (EBITDAF) of $257 million for the six months to December 31, $1m lower than the same period a year earlier. While production from its hydroelectricity stations in the Waikato River were up on the second half of 2014, the company said wholesale prices were slightly lower and the company increased spending on customer offers. Chairwoman Joan Withers said Mighty River Power has seen "intense competition and intense pricing pressure both leading up to and within the period" being reported on Tuesday. Mighty River Power owns the Mercury retail brand. Its products include the Globug, a prepaid electricity plan. Chief executive Fraser Whineray said the intensity of competition pushed up its operating costs by $7m in the first six months of the financial year, however the company believed the second half spending would be lower, with operational spending roughly the same as in the year to June 30, 2015.